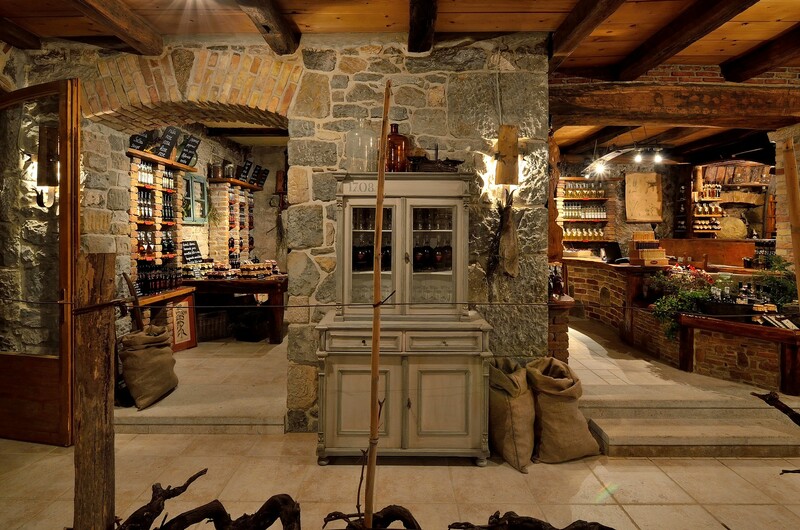 The company “Aura proizvodi” produces exclusive traditional products such as brandies, jams and other traditional products made of wild herbs and wild fruits picked in an ecologically clean environment on the slopes of the Ćićarija mountain far from roads and inhabited settlements. Starting from production for our own needs, we have developed into a family company putting emphasis primarily on the quality of our products. Our main goal is that our products have the same quality like the ones of our grandmothers, who had made products at home without any preservatives or artificial ingredients. Our production includes interesting delicacies like jams made of dandelion, blueberry, raspberry, blackberry, fig, plum, cornel and brandies which are aging for three years, half a year in maceration, then settling and being distilled for the next two and a half year up to six times in order to naturally get rid of the sediment. The basis of all brandies is homemade pomace, pear or apple brandy. Beside the traditional Biska, Medenica and Teranino, we produce brandies made of sage, cornel, carob, olives and almond, wild pear, wild apple, rose petals, rose hip, forest fruit, peppermint, plum, dried fig, Wild plants, Honey and Mistletoe brandy, Grappa Bianca, Grappa Moscato.